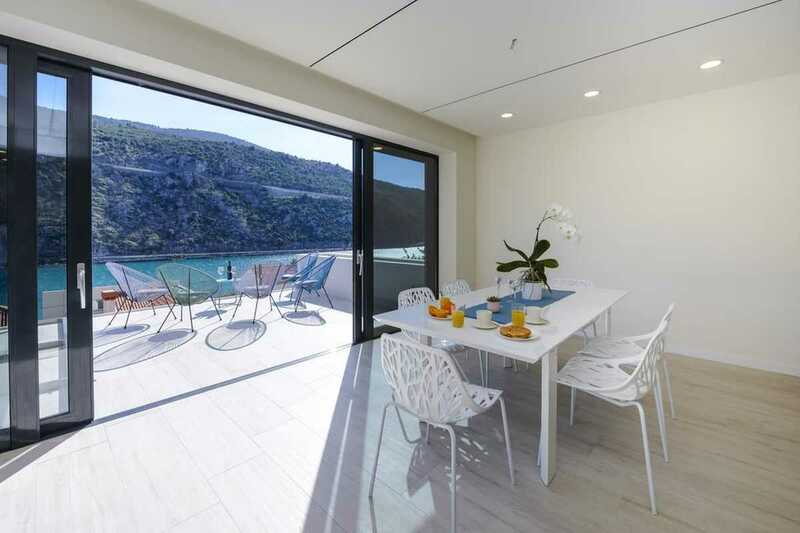 Modern Luxury Villa in Dubrovnik with pool, sea view is built in 2017. 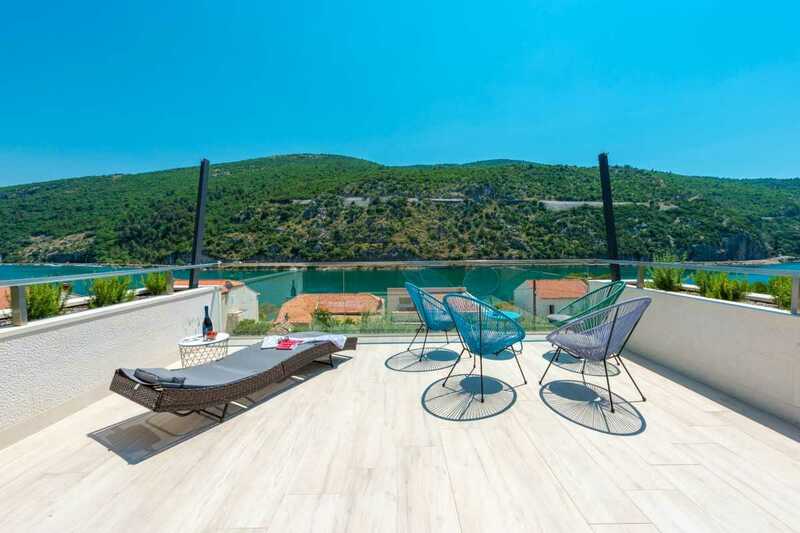 The Villa is located in South Croatia in a beautiful part of Dubrovnik, where the river Ombla flows into the Adriatic sea. 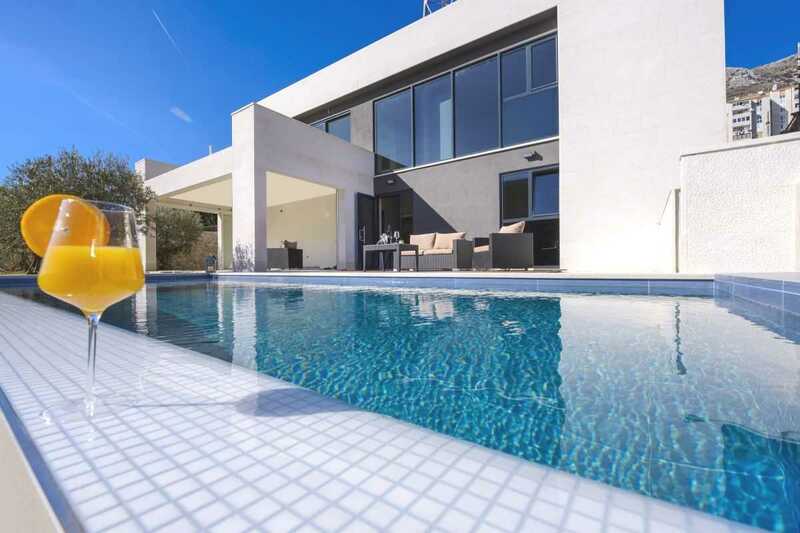 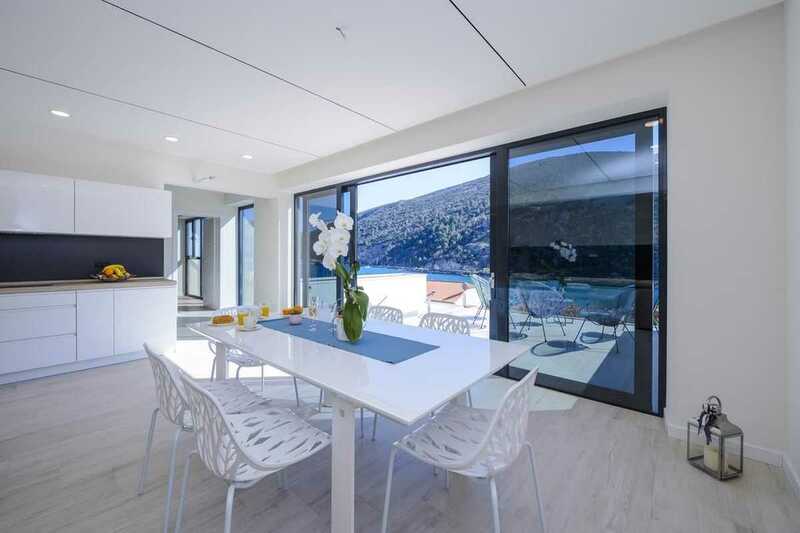 Completely modern decorated with big glass walls with an open magnificent sea view. 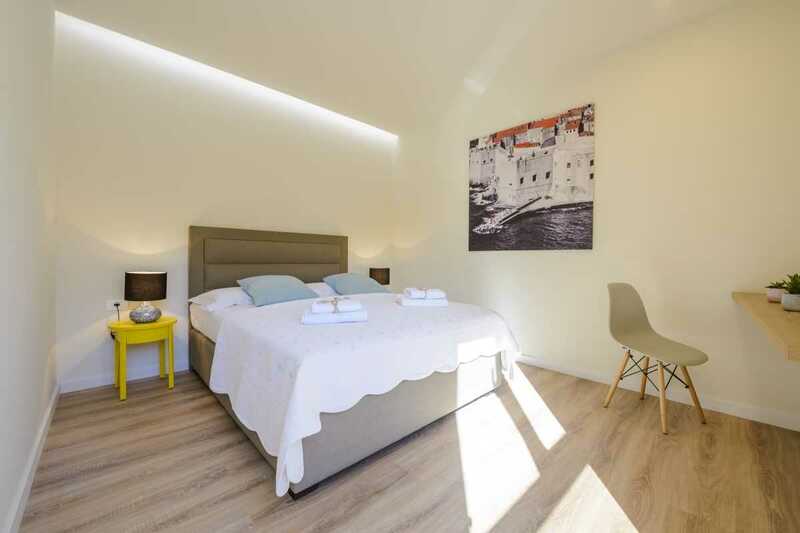 The large bedroom on the ground floor faces the sea. 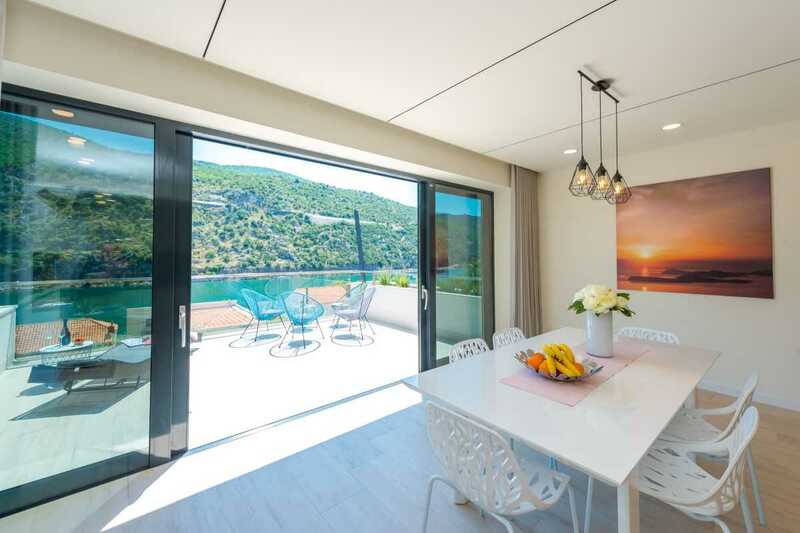 A large glass picture window allows you to wake up facing the sea. 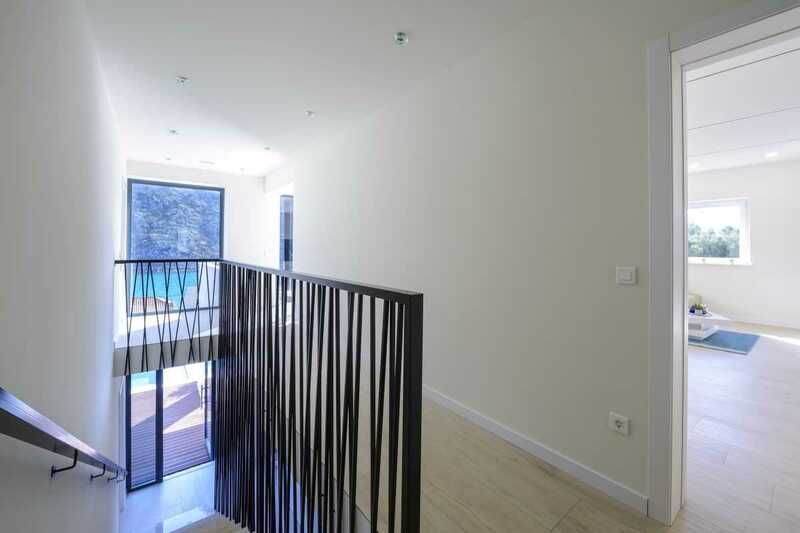 It also serves as the door in order to access the outdoor terrace. 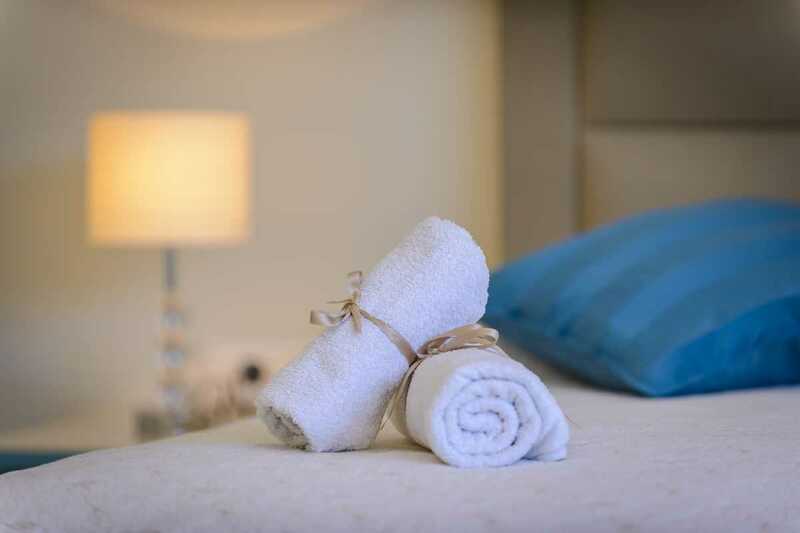 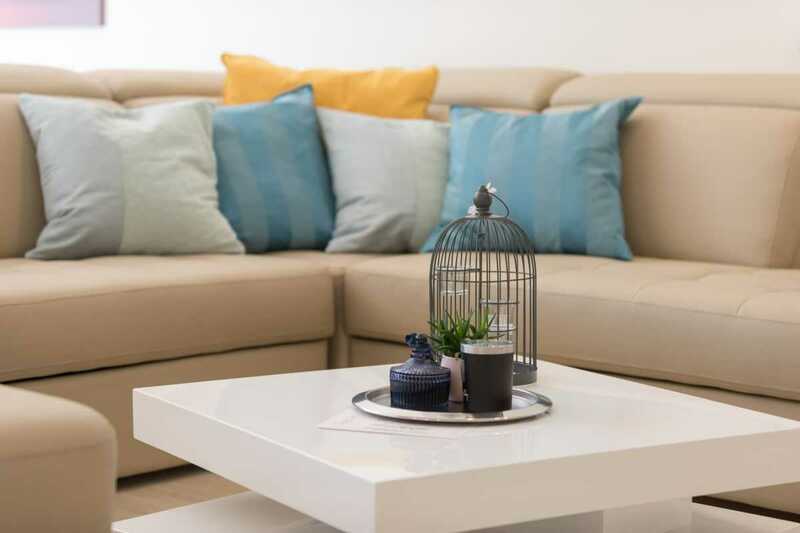 You will find fine cotton linens and towels to be beautifully soft and luxurious. 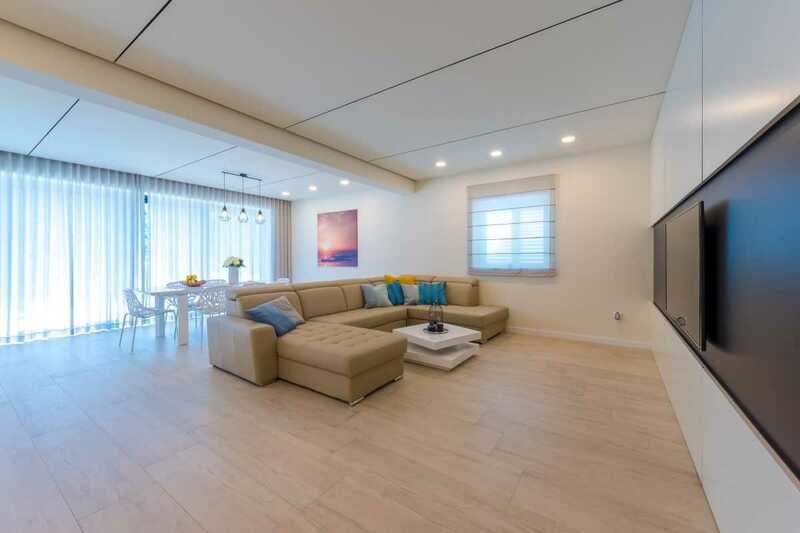 A 43” LED TV hangs on the wall, you can enjoy watching hundreds of international channels on Sky TV. 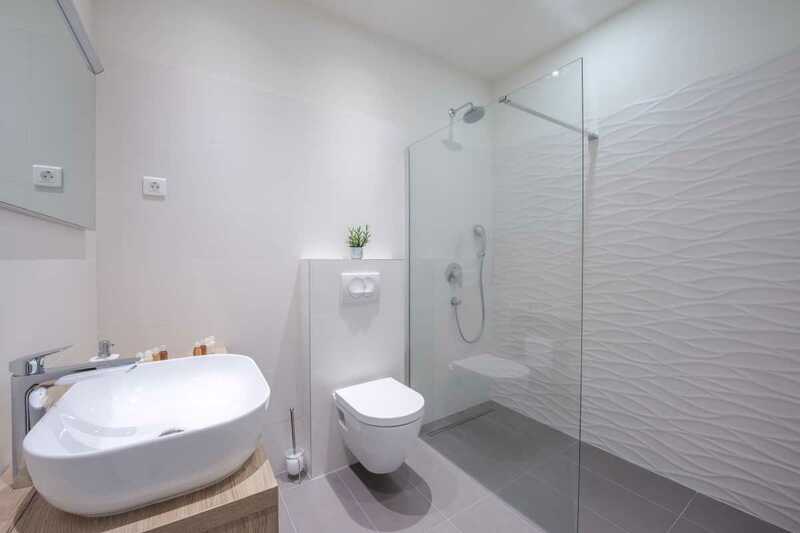 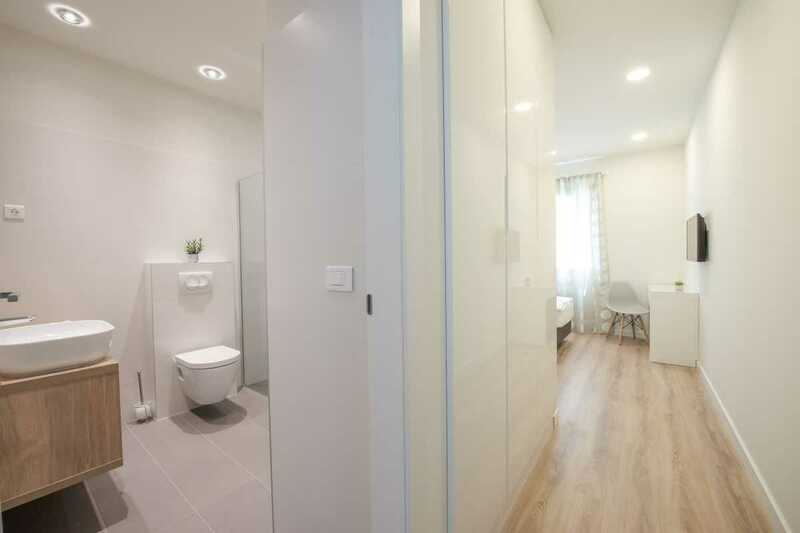 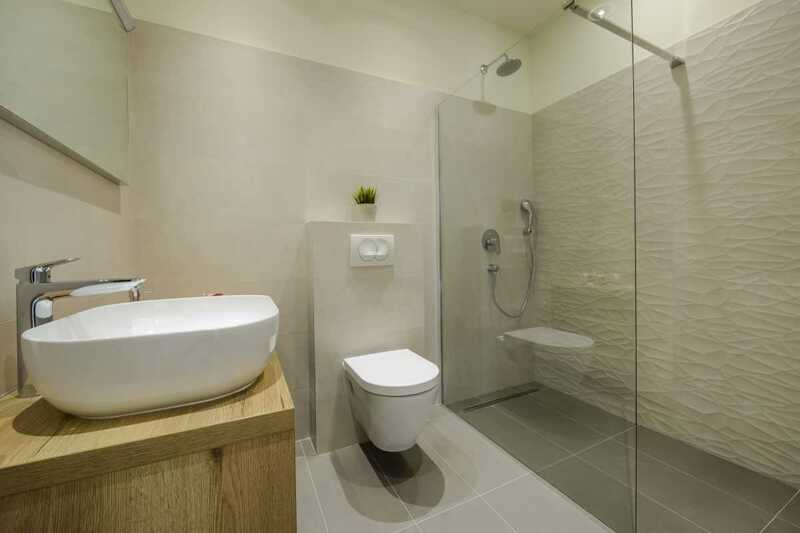 Each room has en suite bathroom, TV and air condition. 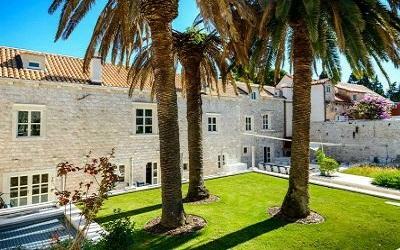 Modern Luxury Villa in Dubrovnik with pool, sea view is completely covered by free WiFi. 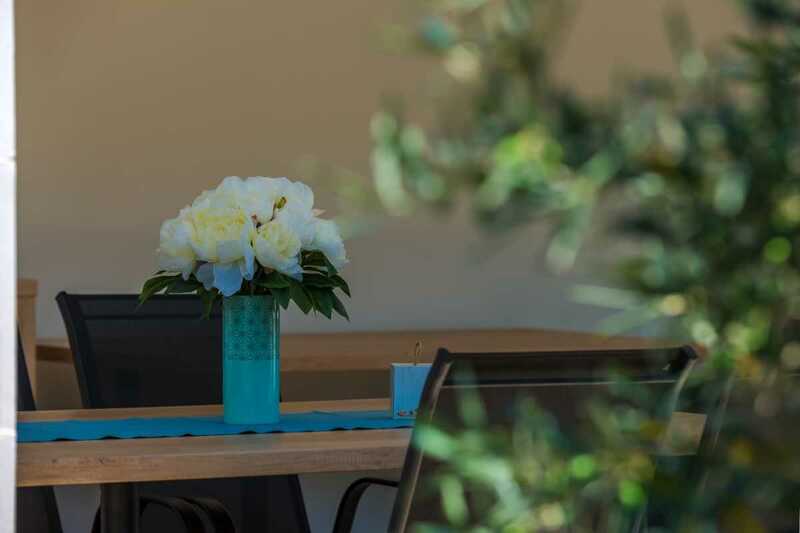 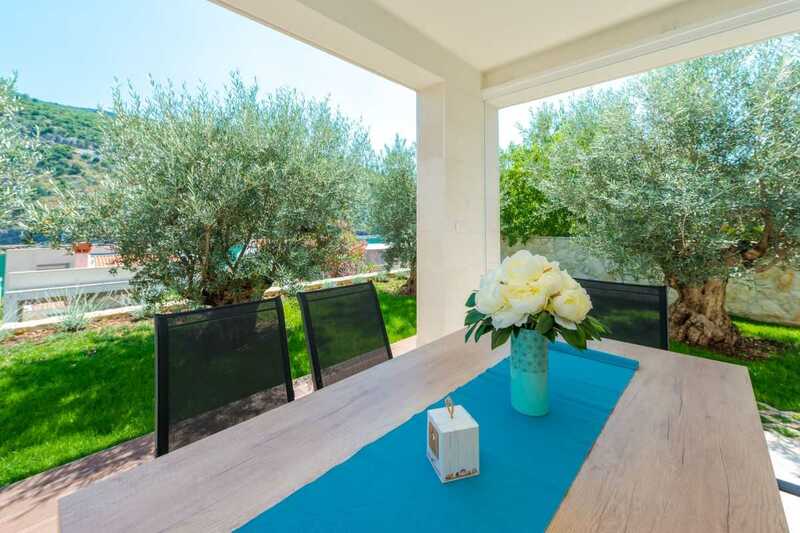 Villa plot is on 950 m2 with a free parking place, outdoor summer kitchen, outdoor lounge and dining area, a beautiful lawn with 200 years old Olive trees, a barbecue fireplace and 26 m2 private pool. 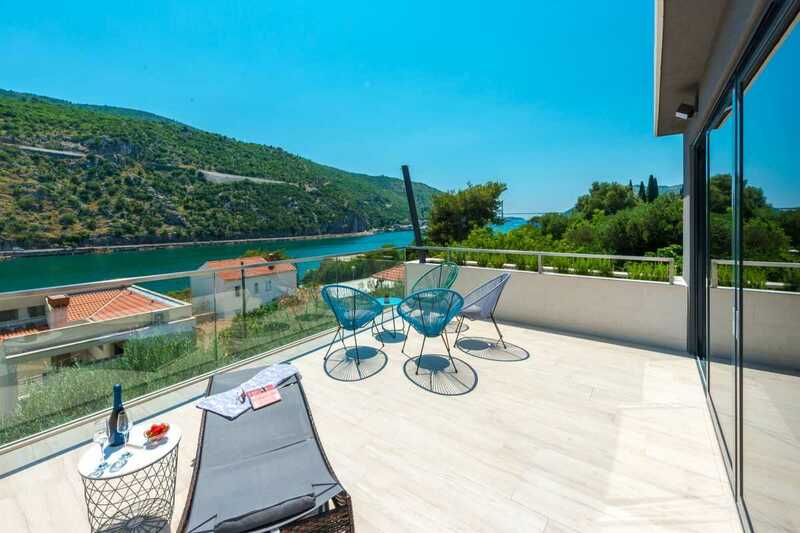 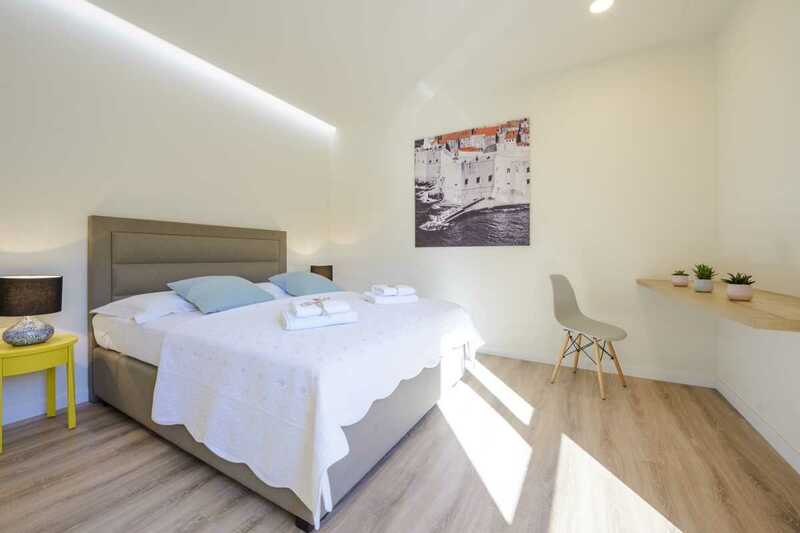 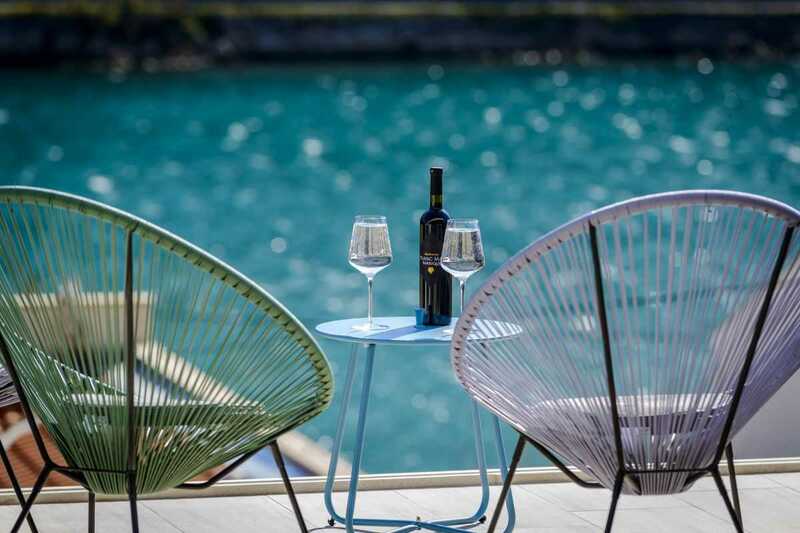 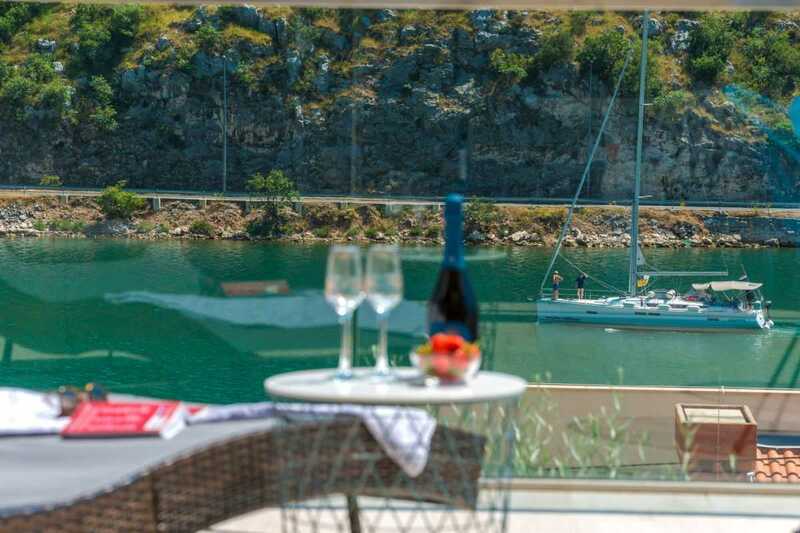 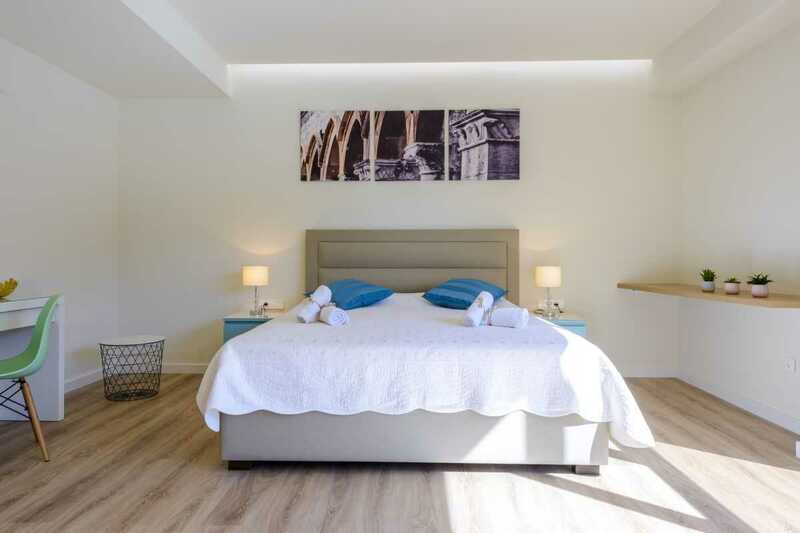 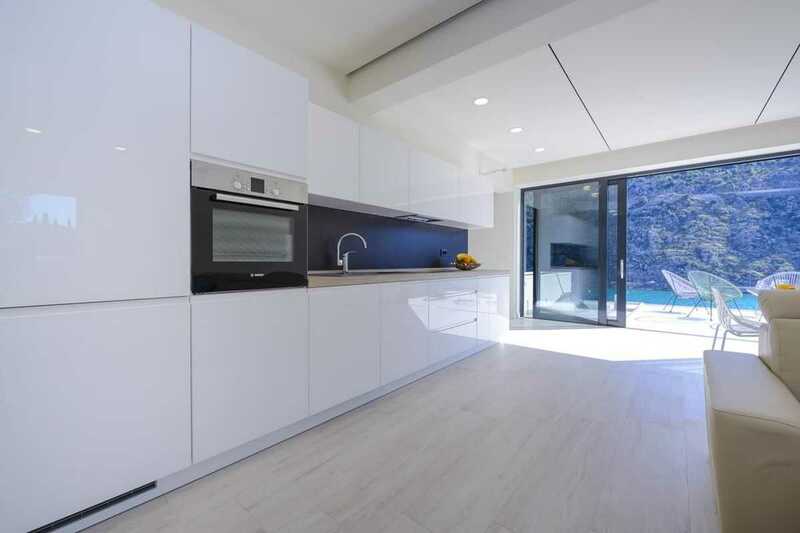 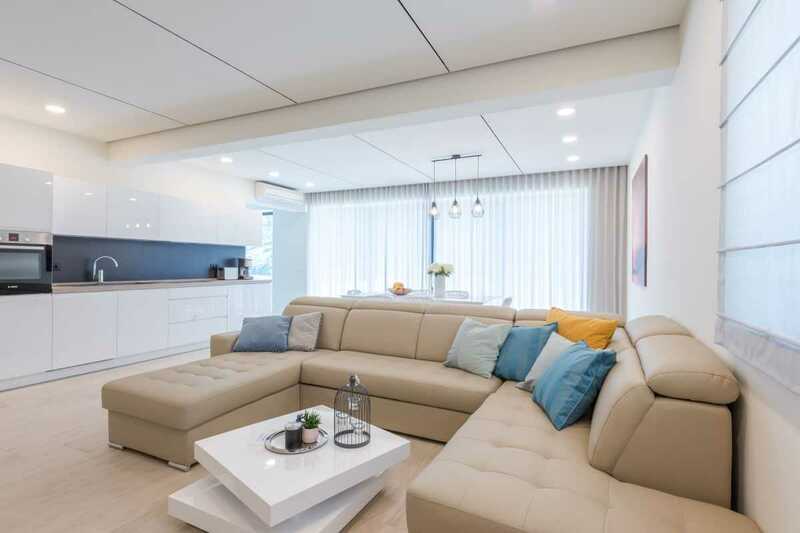 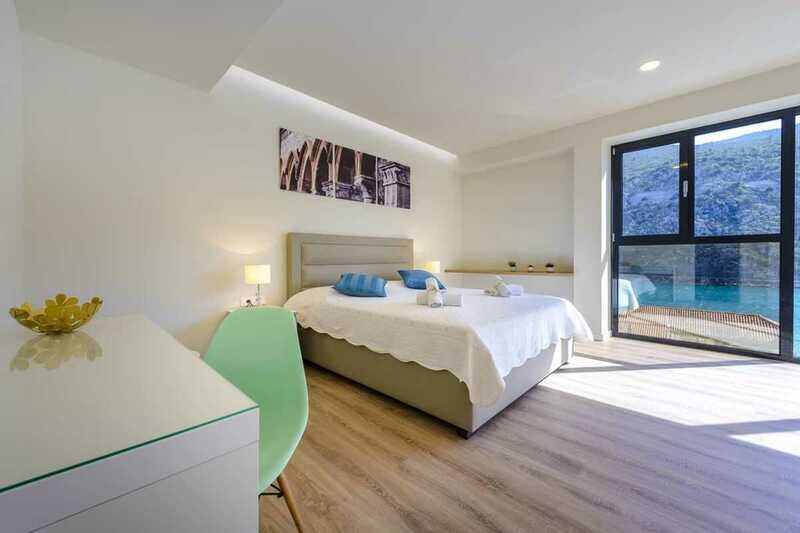 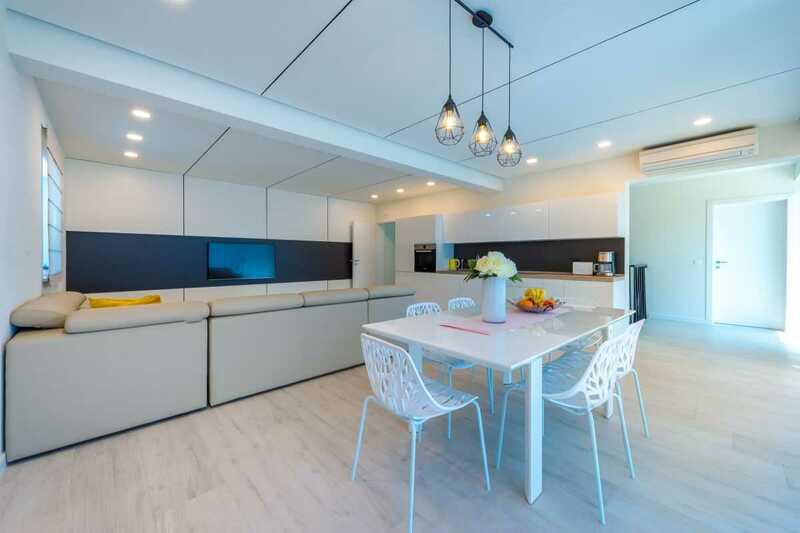 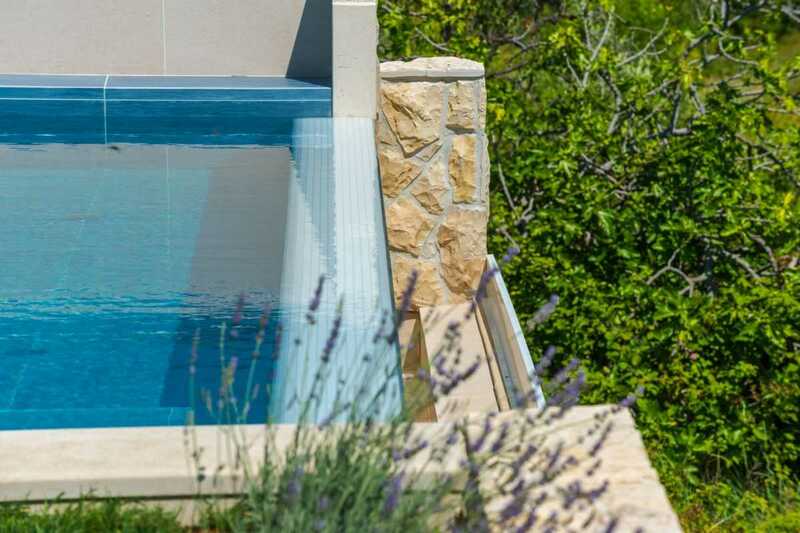 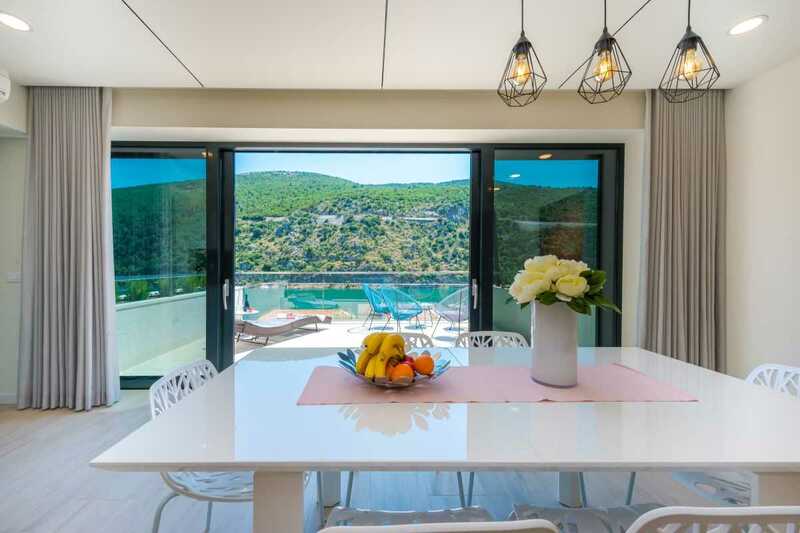 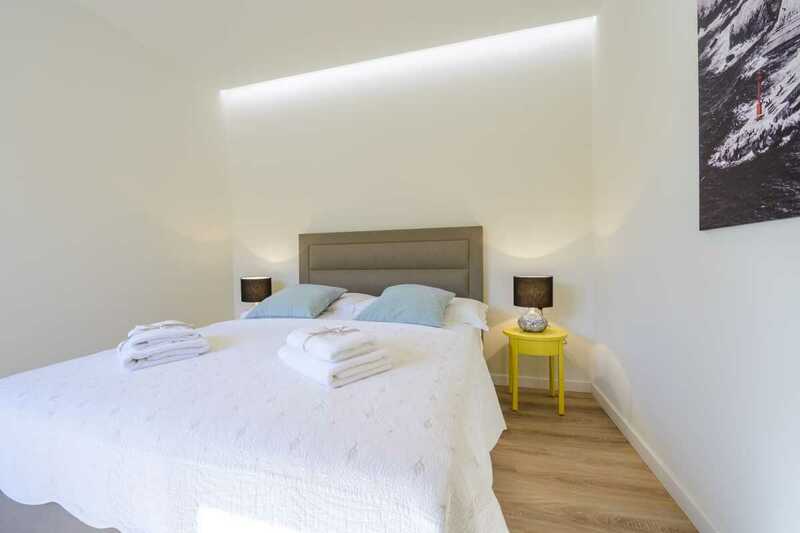 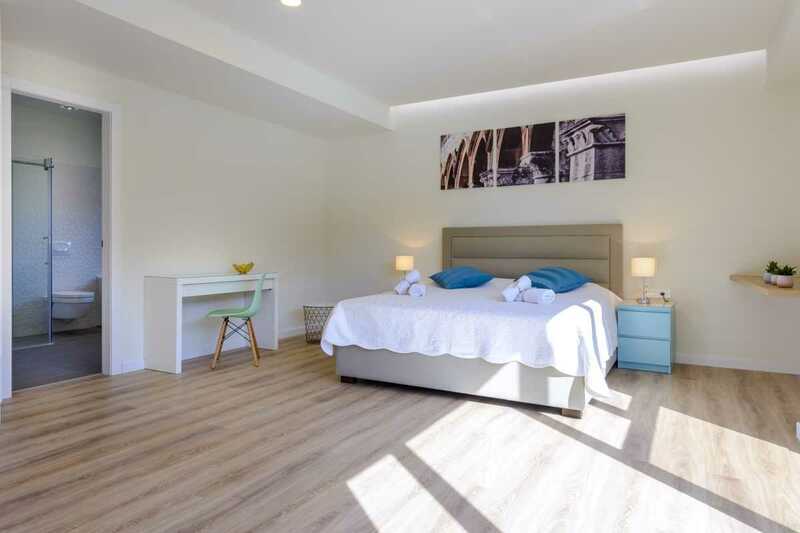 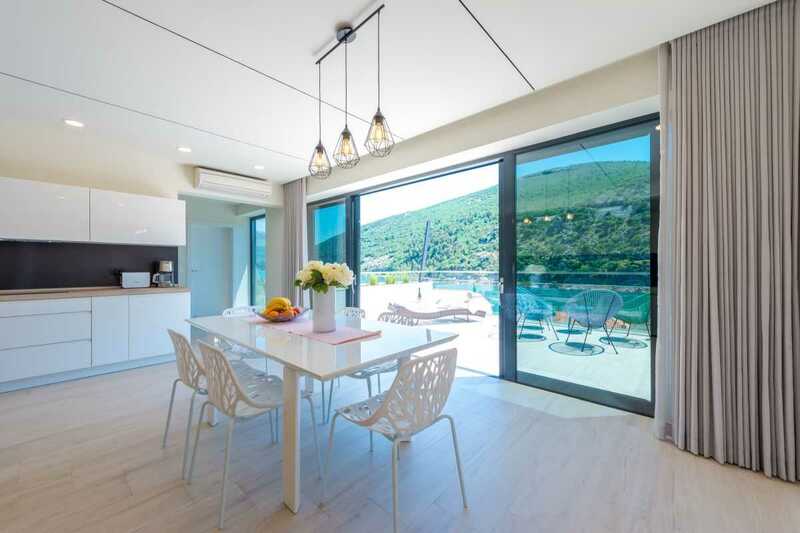 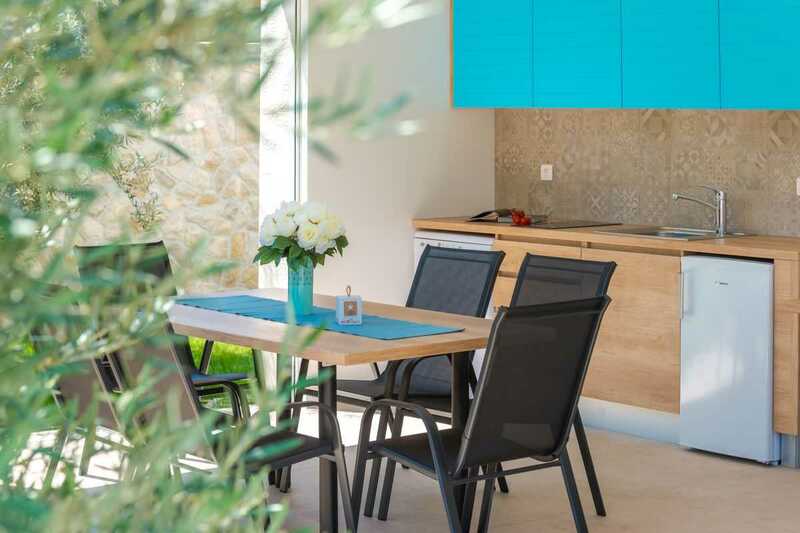 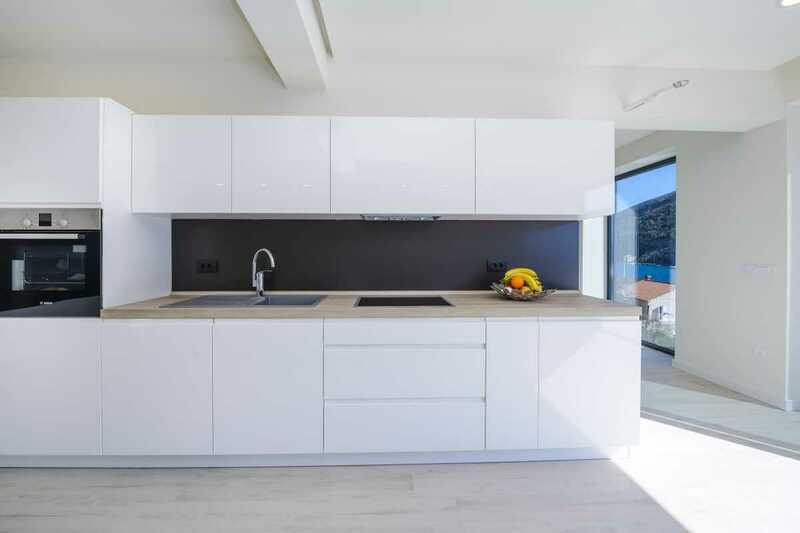 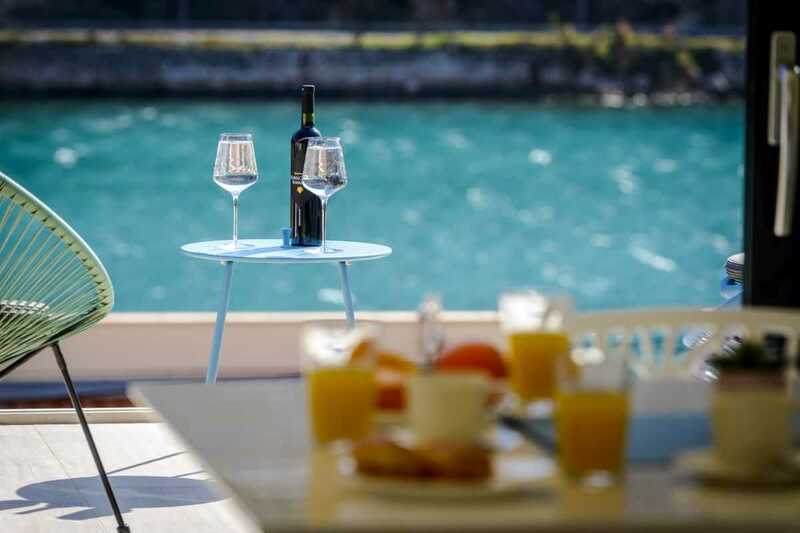 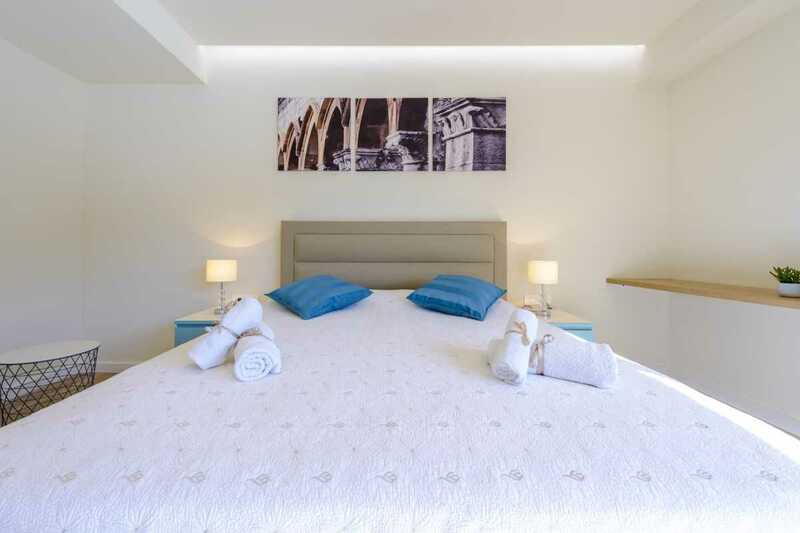 Modern Luxury Villa in Dubrovnik with pool, sea view is a great choice for those who prefer to relax away from the hustle and bustle of tourists, Dubrovnik Old Town is just 9 km away. 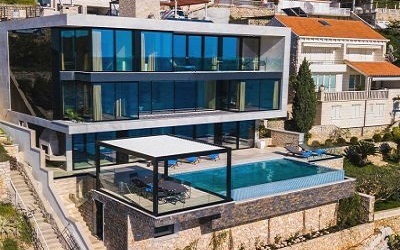 Special Note: New villa built in 2017.